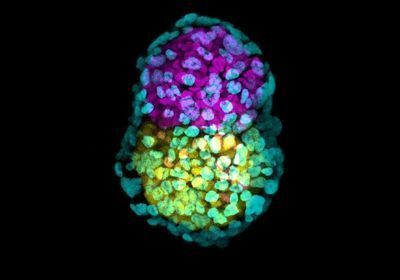 The embryo, grown in a dish from several types of stem cells, went through gastrulation, a significant stage in development. 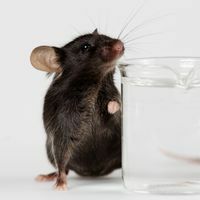 Researchers have used three types of stem cells to create a mouse embryo in a dish, according to research published in Nature Cell Biology yesterday (July 23). The cultured embryos transformed into a multilayered structure, which helps establish subsequent cell types and axes of the body. When the mixture of cells attained the appropriate density, they independently self-organized into a clump. 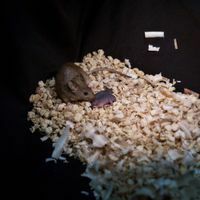 “Our artificial embryos underwent the most important event in life in the culture dish,” coauthor Magdalena Zernicka-Goetz, a professor at the University of Cambridge in the U.K., says in a statement. “They are now extremely close to real embryos.” For further growth, the artificial embryos would need to be implanted into a real or synthetic womb. 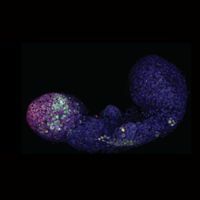 Using their lab-made embryo, the researchers can better understand how the three types of stem cells affect each other and probe the intricacies of development. 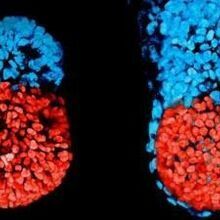 “While [this study] did not use human stem cells, it is not too far-fetched to think the technique could one day be applied to studying early human embryos,” Christophe Galichet, a senior research scientist at the Francis Crick Institute in the U.K. who was not involved in the study, writes to Reuters.